Hailed as “Seattle’s Finest”, Brent Laurence and his world renowned production work has placed him in a league of his own. With an impressive resume of over 32 original releases and remixes under his belt, the music of Brent Laurence has earned it’s way onto the charts of industry legends such as Tony Humphries, Doc Martin, Danny Rampling, Paul “Trouble” Anderson, Jay-J Herdnandez, and many more. Along with his brilliant production work, Brent’s impeccable dj skills and established reputation has been recognized and highly acclaimed by the likes of Dj Magazine, Muzik, URB, Mixer, XLR8R, Billboard, Resonance, DMA, and other top music publications. In 2000, the Winter Music Conference Anthem, “Spirit”, showcased Brent Laurence on the top of his game, giving him high placement on music charts around the world. Since then, Brent’s soulful sound continues to penetrate the dance community on a higher global level. 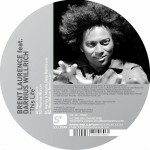 His latest release, Brent Laurence feat Latrice Barnett “Build It Back Up”, was yet another underground smash, cited by URB Magazine as “Deep House at it’s Best”, and hit number 10 in the DJ Magazine Hype Chart. While the majority of his recent work continues to break DJ Magazine’s UK Hype Chart, you better believe this is only the beginning for Brent Laurence! Brent’s vibrant sound is a direct reflection of his understanding and true love for house music. 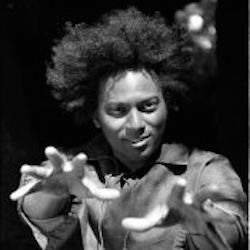 Inspired by the creations of Earth Wind and Fire, Slave, Jazz & Groove, and Masters at Work, he continues to push boundaries by fusing modern day house rhythms with elements of classic funk, disco, tribal, and garage. Brent’s production maintains a dynamic edge and floor appeal through gracious vocal arrangements, live instrumentation, and an uncanny use of the infamous SP 1200. This signature sound possesses a uniqueness that outshines the majority of today’s cliché Westcoast productions. The magic of Brent Laurence can be found on Black Vinyl, Sound Consortium, Look at You, Soul Shine, Tilted Records, Soul Groove, Nervous, and many more labels to come! Next to his extensive skills as a songwriter, producer, arranger, and engineer, Brent Laurence is also a renown DJ with over 10 years of solid experience. When he’s not busy working in his Seattle based studio, he is capturing dance floors across the nation with his soulful and energetic sound. Brent has a gifted ability to elevate dance floors with his driving sets that fill the room with wicked basslines, dirty drum tracks, uplifting vocals, and wicked key work. The quality of music that’s generated constantly reminds you of his soulful taste and understanding of what keeps dance floors filled and the spirits alive. Brent’s overall playing style reflects a proficiency in mixing, musical flexibility, and crowd reading, which keeps this man a regular favorite in dance capitols such as London, San Francisco, Miami, and in his own home town of Seattle. His ability as a skillful DJ is just one more attribute that keeps his production work fresh and up to date. Brent’s solid work ethic and drive keep him grounded and moving forward in this relentless industry. Combined with a friendly and humble attitude, he continues to win a growing list of loyal house fans around the globe. With no indication of slowing down, you can expect to hear many more house music staples, international anthems, and unforgettable DJ sets from this dedicated house music veteran for years to come.